Expect oysters, shrimp, and bread pudding. Hookline is a new concept from Del Sur Restaurant Group (Hook Line & Sinker, Urban Taco) that is scheduled to open this fall at The Boardwalk at Granite Park in Plano. Drinks: The beverage program is very simple: to offer the best variety of longneck and draft beers, a selection of refreshing handcrafted cocktails featuring in-house ingredients. Ambience and design: Designed by FÖDA Studio, the interior and patio embrace the restaurant’s context; the design reflects the long low lines of the surrounding plains, Low Country and the Gulf Coast. Locally sourced and handmade elements including patio tables, Gullah bowls and server aprons add to the authentic experience. The 1000-square-foot patio will offer a lively dining experience with roughly 3200 square feet of interior dining. The restaurant can seat a total of 200 diners, including the bar. Chef Aaron Nelson: Originally from Fort Worth, Chef Nelson grew up cooking with his Michelin Star chef father and pastry chef mother. Upon earning his Culinary Arts degree from El Centro College in 2011, he began his career under David McMillan at Bird Café as Executive Sous Chef. After two years at Bird, Nelson moved on to become Chef de Cuisine at RiverCrest Country Club, Fort Worth in 2013. 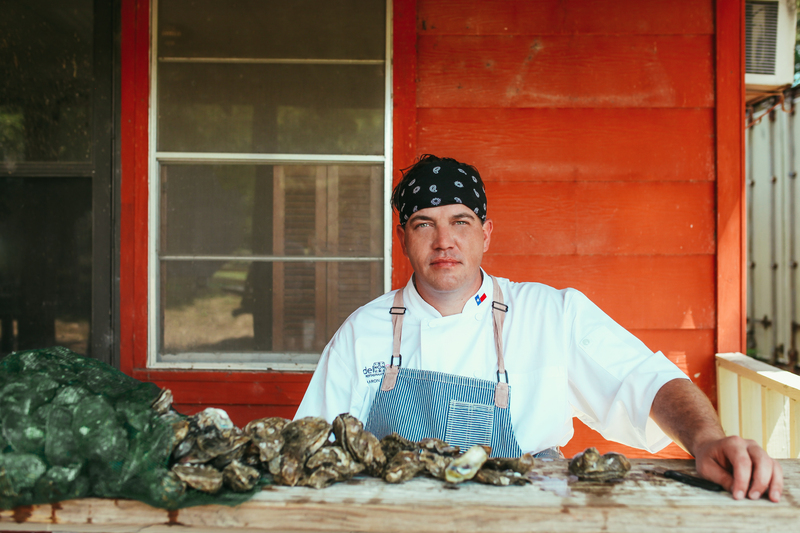 In 2015, he moved to Houston to work as Executive Chef for Nick’s Fish Dive & Oyster Bar in the Woodlands. In October 2017, he was thrilled to joined Del Sur Restaurant Group as Culinary Director. Location: Granite Park is an environmentally focused, 90-acre mixed-use development located at the SEC of the Dallas North Tollway and the Sam Rayburn Tollway (SH121). The master plan combines approximately 3M SF of Class-A (currently 2M SF built & occupied) with a luxury hotel, retail shops and a variety of amenities. Hook Line will be located at 5805 Granite Pkwy, Ste. 104 in Plano. Hours: Sunday through Thursday from 11 a.m. to 10 p.m., Friday and Saturday from 11 a.m. to 11 p.m., and brunch on Sundays from 11 a.m. to 3 p.m.
Countdown to the Dallas Grand Opening!